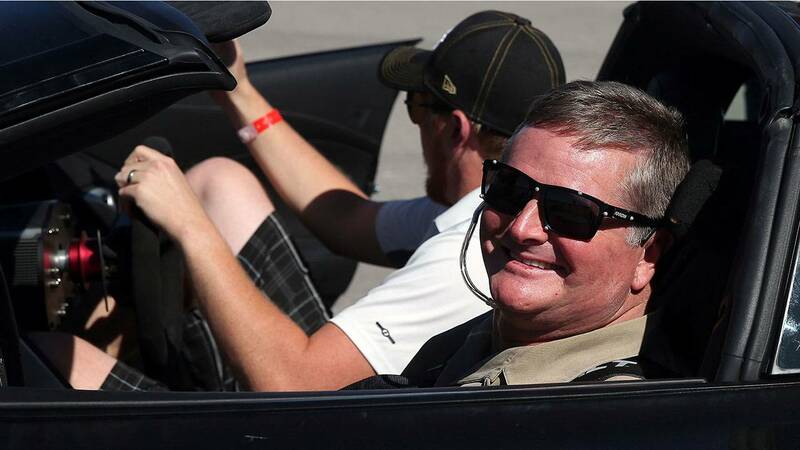 PORTLAND, Ore. - The stranger had tears in his eyes as he pushed through a crowd to reach Sam Schmidt in his wheelchair. "Happens about 10 times a weekend," Schmidt said. "You never know what the connection is." It's enough heartbreak to make anyone give up the sport that Schmidt calls "particularly unforgiving." "It's in my blood, it's in my chemistry. I want to compete, even if I can't be a driver," Schmidt said. "I've been racing since I was 5 years old and the victories and the championships, I guess they seemed to make it all worth it. I don't know why." What Schmidt has been able to see and understand is that all the tragedies have helped thousands of others with their own struggles. Schmidt works closely with Arrow Technologies, the sponsor of Hinchcliffe's IndyCar team, and in 2013 began developing a car that could be safely driven by a paralyzed driver via head movements. "We didn't make the Indy 500 this year and it was devastating. Then you remember back to 2015 when Hinch almost lost his life and you remember there are worse things," Schmidt said. "Robbie's situation, my situation, Hinch's situation - you are given a choice. You can give up and sit on the couch and watch ESPN for the rest of your life and say, 'To hell with it,' or you can do everything possible to rehabilitate as far as you can rehabilitate." "Christopher Reeve, that was the worst level of injury and he was on a ventilator," Schmidt said. "When I met him I thought to myself, 'Wow, I didn't think my situation was great, but his was horrible.' He had a ventilator and he needed six people to get around, on and on, and it really made me understand that things can always be worse." "He was, 'Whatever it takes, I'm going to come back. Just tell me what to do and where to go and how do we get the most direct rehabilitation we can get,'" Schmidt recalled. "Robbie is a very driven and motivated driver," Schmidt said. "That's the kind of strength and energy you need to get over this. I can talk to him, I can talk to his family, I can let him know what to expect in the coming months, but it's all about attitude and support and he's a totally relentless competitor."